Used for ironing all kinds of sportswear and denim jeans, coat, jacket, topcoat etc. Adjusted time periods of blowing and steam provide a low cost and high productivity in manufacturing. Used for ironing all kinds of sportswear and denim jeans, coat, jacket, topcoat etc. with steam and air blowing. There are adjustable according to the swelling properties of the type of product. Used in all kind of trousers ironing. Steam-making and blowing time is adjustable. Provides precise iron with a computerized program. Adjust stretching according to pants` length by clamping cuff`s edge. 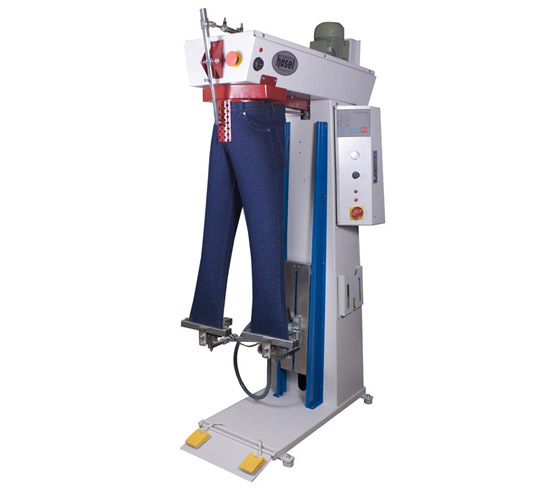 Used for ironing all kinds of sportswear and denim jeans with steam and air blowing. Gaining automation ironing of tracksuits and lycra products. 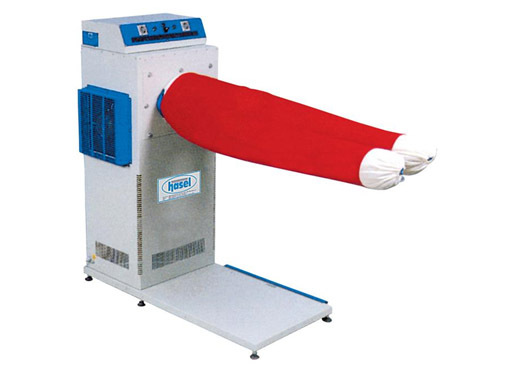 Adjusted time periods of blowing and steam ironing without ruining naturalness of products. The true alternative in small dry-cleaning shops and laundries for quality and productivity in the finishing of ironing men’s or women’s shirts, smocks, doctor’s suit, jackets and overcoats. 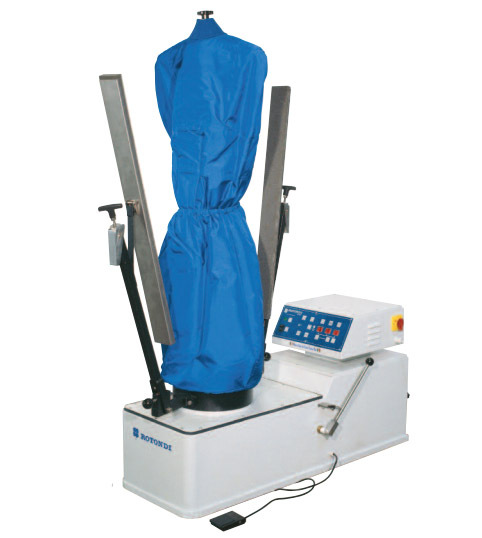 Automatic tensioning form finisher for ironing men’s or women’s jackets and overcoats, or wool garments, extremely compact in size. Time switch programmed through digital electronic control panel. 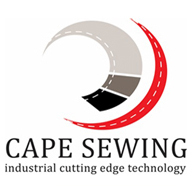 10 different work programs to perform all kind of garments and size. Vertical and horizontal garment tensioning for perfect finishing. Strong ventilation unit with air-regulation. 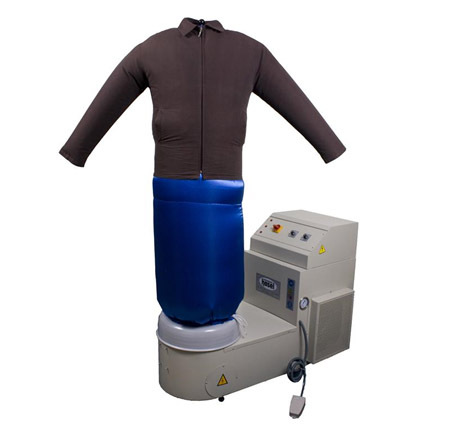 Manual form finisher for ironing men’s and women’s jackets and overcoats. QAD-1-Without a built-in generator-to be connected to a centralised steam plant. Body rotating 360°, height 127 cm. (Upon request, 147 cm.). Front and back paddle with manual closing. Manual opening of shoulders, based on size. Mini-computer for programming the timing of steam, steam with blowing and blowing-9 programs-piece metre. User friendly software. Wood sleeve stretchers and stainless steel clamps for closing of vents. Blowing motor at 1,3 KW-1,7HP. Manual extra steam and air-blowing using computer. The true alternative for quality and productivity in the ironing finishing of men’s and women’s shirts. 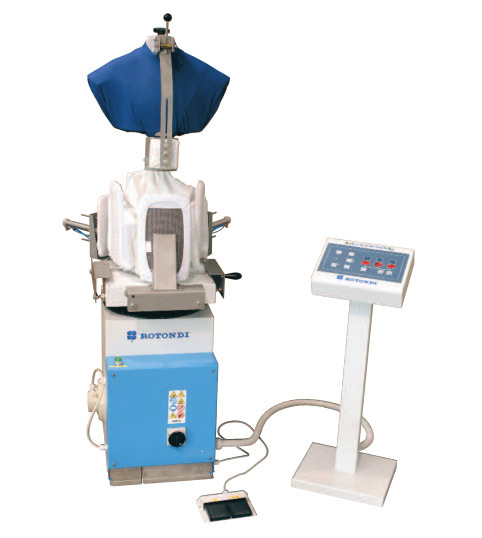 Stainless steel heated form, vacuum, blowing and steaming (only SR-3000/V). Automatic vacuum in the body for easy positioning of the shirt. Digital computer for control of all the phases of preparation and ironing functions- 9 programs – with piece metre. User friendly software. Pneumatic opening of shoulders, based on size. 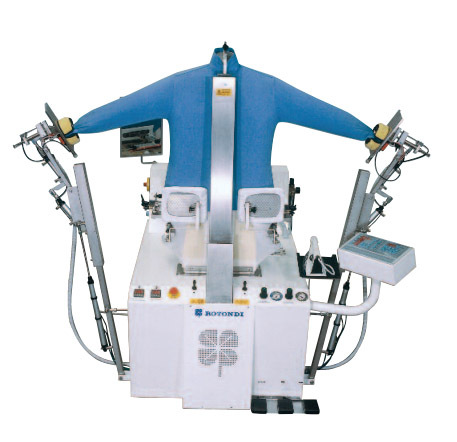 Automatic tensioning of shirt sides. 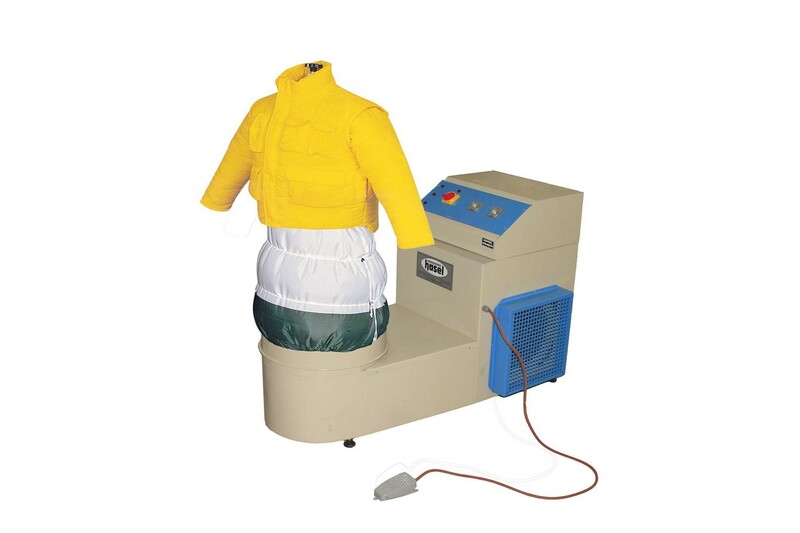 Front paddle electronically heated for ironing of front placket, with electronic thermostat. Front and back pneumatic paddles to block shirt bottom, with photocell. Steam superheater with electronic thermostat up to 200°C. EC-2002 iron with stainless steel plate for ironing shirt pockets. JOY – Joystick for automatic positioning of short-sleeve and long-sleeve clamps. 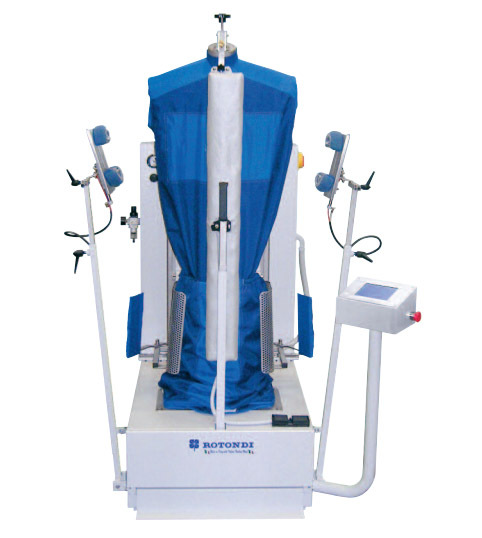 Automatic discharge device from the shoulders or from the hanger.